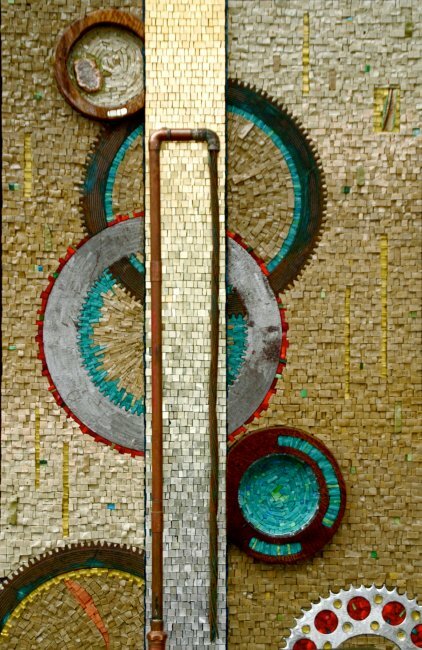 Through SAMA, Society of American Mosaic Artists I found out about mosaic artist, Rachel Sager and her amazing art. She recently won Best in Show in Mystic Art Center‘s Art in Pieces show “Hemispheres”. The exhibition runs from October 1st through November 13th with an opening reception October 7th. But check out the gallery’s web site to find out more information. And of course check out Rachel’s to see more of her lovely mosaic art.